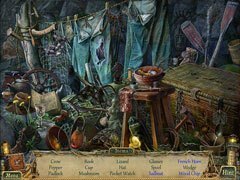 Best of Hidden Object Value Pack Volume 9 - Experience 4 top hidden object adventures in this pack! Long ago there lived an evil witch who decided that she must marry a prince. In order to do so, she'd need to find one that wasn't already engaged to a beautiful princess, which was a very rare commodity. It was then when a seed of a plan germinated in her sinister soul - any prince that would reject her she would turn into a frog! Surely the fear of being turned into an amphibian would convince some prince he should break off his engagement and marry the witch! 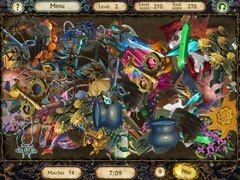 Help the bewitched princes escape from the witch, reach their brides and cure the spell with a kiss of true love. After their yacht is sunk by a fierce storm, Jane and Mike become separated in Sea Legends: Phantasmal Light. Jane awakes on a mysterious island, but must now figure out what happened. Help her reunite with Mike before it's too late! 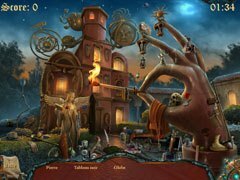 Explore amazing hidden object scenes and solve tricky puzzles as you uncover a terrifying truth about the island. Renaissance Italy has been hit by the plague. A legendary city may hold the cure, but does it even exist? It's time to prove that you are the cleverest in finding the legendary items. Do you count yourself an expert? Test your speed with non-stop, round-based hidden object scenes! Try your luck, memory and attention, and go through all the tests that will give you a game. Find objects quickly to boost your score and earn stars! If playing against the clock isn’t your thing, enjoy the game in relaxed mode. A young witch, Alice, striving to master her skills, decides to become a student of Circe, one of the most powerful witches in the kingdom. However, after discovering that Circe is going to turn all of the famous princes into frogs until one of them marries her, Alice turns against the witch. Now she needs to break the curse casted upon all the princes and restore peace in all the kingdoms.